When we left swim lessons yesterday, I told my son Gavin that having his swim class was an important part of his day…. He said it was his favorite part of the day! He’s good with the kids, striking a balance between fun and structure. He’s helpful and generous with parent feedback. Our child has learned so much and gained great confidence in the water in a few short weeks! I learned so much more in one lesson with Barb than I did in five lessons with another swim lesson program! Coach Katherine not only gave our son the skills and confidence to be on a swim team, but to also be one of the top swimmers!!! We are thrilled with our KickSmart Swimming lessons! Just had the girls at our neighborhood pool for a few hours – they got so many compliments on how well they swam, how fearless they were about jumping in, etc. We love you Barb! We just started with KickSmart and it is an amazing program! My six year old has learned so much from Miss Barb and asks everyday when her next lesson is! In past years, we have been through many different swim instructors for our girls. None of them have had the impact or been able to motivate and inspire our girls like Katherine. Within just a few weeks under her instruction, the girls were swimming on their own for the first time. With gentle guidance and encouragement, they felt immediately comfortable with her and in the water. 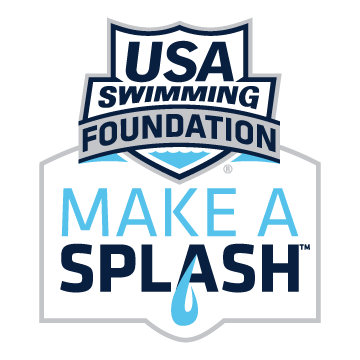 Katherine has a gift in helping swimmers realize their potential through a consistent and fun teaching method. She has instilled in my girls not only an essential life skill, but also one that they thoroughly enjoy because of her own enthusiasm for the sport. She is truly one of a kind and extremely talented, and we are so grateful to have found her. Katherine Varner is an amazing coach and a very skillful teacher. She is very knowledgeable, patient and takes great care in communicating the appropriate techniques and instructions required to learn swimming. My son and I have been learning to swim and we both have been taking lesson separately for few years. It truly has been a gratifying and successful experience for both of us. As I reflect upon how far I have come, it is such an achievement for me which I know would not have been possible without Katherine. Initially when I started as an adult, I was battling fear of being under water. I had no idea of any basic skills like floating or how to manage my breath. Katherine’s loving and caring personality made me feel at ease despite my limitations. This is because she understood my needs and my fears and was 100% invested in helping me achieve my personal goal of overcoming my fear and eventually learning to swim. Over the years I have made such great progress and I am highly motivated to continue learning from her. I have been able to overcome my fear of being under water and feel confident in my swimming skills that I have learnt so far. During swimming lessons, Katherine shares relevant details about the techniques and breaks is down to the simplest level for me. I greatly appreciate her approach as this helps me understand the appropriate technique to carry out a certain stoke and to be able to swim in good form and position. My son has different style of learning of which Katherine is very insightful; accordingly she adapts to his needs and ensures that he is learning while having fun. It has been a wonderful experience for me and I am so glad to have found Katherine as my coach and a teacher to fulfill my personal goal of learning to swim. I highly recommend Katherine to anyone (child or an adult) who wants to learn to swim or wants to strengthen their swimming skills. When I signed-up my eight-year-old twins for private swim lessons with Barb Seiden, they were afraid of the water. Starting out, my son would cry from fear and really didn’t like getting his face wet. That was almost a year ago. Now, thanks to Barb, both kids jump in the deep end of the pool. Barb is patient, knowledgeable and I could tell straight away that she knew how to work with kids. My kids have learned the how to tread water, how to breathe, and the various swimming strokes. More importantly, they learned how to let go of their fear. They enjoy being in the water and I have to basically demand they come out of the pool at the end of the lesson because they don’t want to get out. I could not be more impressed and thankful for the work she’s done with my kids. Barb cares about her swimmers and their progress, and that shines through when she works with them. My kids learned a life skill that they enjoy, and we are forever grateful to Barb for her patience, judgment and expertise. I would highly recommend Barb Seiden for any parent looking to enlist their child in swim lessons. My daughter has been taking swim lessons with Miss Barb for the past year. When we first started, she was hesitant to even get into the water. Now, she can’t wait to get in! She swims across the pool independently, retrieves toys from the bottom of the pool, and simply enjoys being challenged with the gentle, loving way that Miss Barb uses. My daughter feels confident being in the pool and it is amazing to watch her succeed in this way! My daughter started swim lessons with Barb a year ago as a non swimmer. Barb has been patient but firm and has encouraged my daughter to work hard. She has become confident in the water and now participates on our swim team! Barb has been our daughter’s swim instructor for the past several months. Jacqueline is 5 years old and Barb was able to help her gain confidence in the water with the very first class. Within the first several private classes, Jacqueline has learned how to swim a short distance without a flotation device. Barb has taught her safety and rules around the pool. She is now able to get out of the pool by herself and is learning to back float. Her kicks are strong and her endurance has increased progressively at every class. Barb’s teaching skills are wonderful. She has a great personality and has been a remarkable teacher for our young daughter. She is always encouraging and cheerful. I strongly recommend Barb as a swim instructor. Our investment has certainly paid off as our daughter truly enjoys swimming.